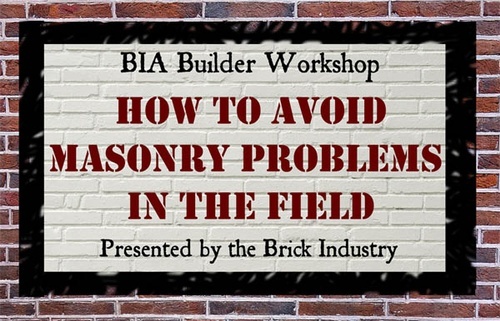 How to Avoid Masonry Problems in the Field – Tips and tricks for custom and production home builders, job superintendents, general contractors and remodelers to identify and prevent potential problems on jobsite. This Brick Industry Association presentation reviews job site conditions, workmanship related issues, the effects of improper cleaning, expansion joint functionality and material performance. Light breakfast sponsored by SCE&G Becoming Dominion Energy. Workshop 8:30 a.m. - 11:30 a.m.